Bio Design or Synthetic biology, also called bio-engineering, is an expanding market. It is expected to exceed $13.4 billion by 2019. This field is increasingly relevant to designers and everyone working in the field of design today should at least be aware of what it is. Bio design is an emerging design movement involving scientists, artists, and designers that integrate organic processes and materials into the creation of buildings, products, as well as clothing. The integration of design with biological systems incorporates or imitates living organisms into design as material sources. In this sense biologists become a new type of designer, working with a very powerful substrate: life. 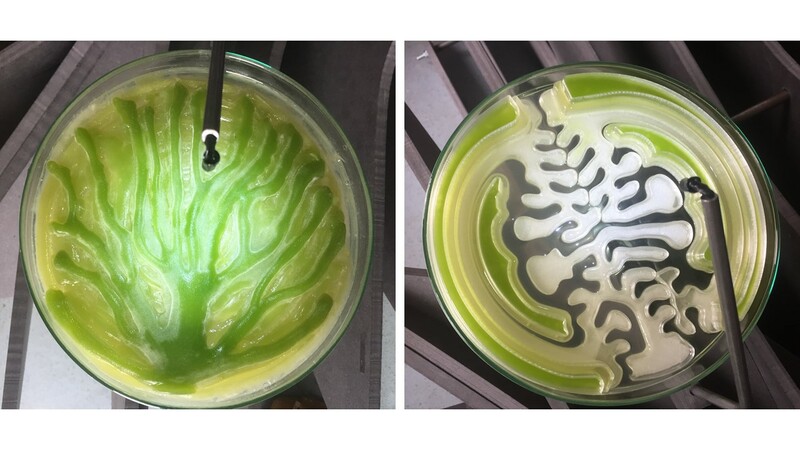 The integration of design with biological systems can mean usage of living materia, such as fungi, algae, yeast and bacteria. This can mean for example; growing a chair out of mycelium, the mushroom fungus that makes for a surprisingly durable material for furniture. 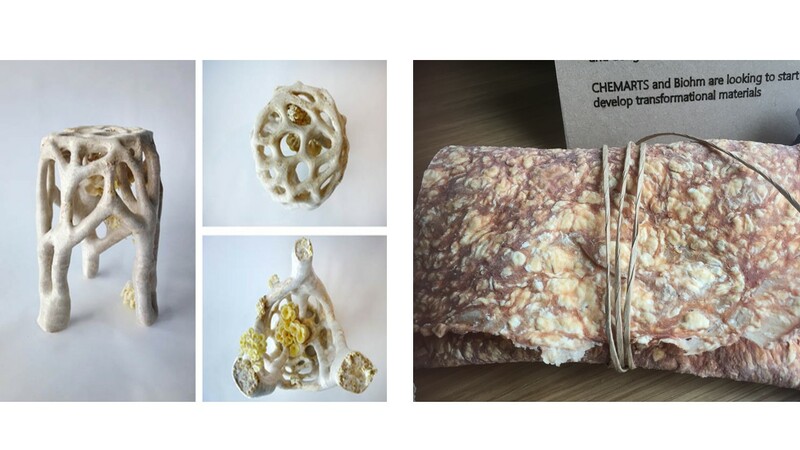 Images by Eric Klarenbeek and Omuus from Chemarts and Biohm. The idea is to create a product whose natural functions are enhanced as a result of the use of (these) living materials. For centuries, people have been designing, controlling, and altering microorganisms—think pasteurization, selective breeding, and the history of Penicillin is a great example. Biomimicry looks to nature as a source of inspiration for engineering but design without nature integration. To give a clearer example: Imitating a design from nature but not using environmentally friendly material in its production. 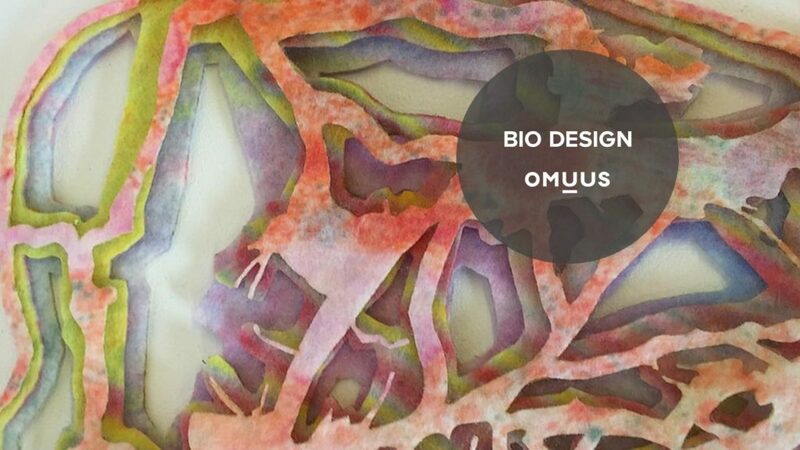 First Image Omuus: Jun Kamei Amphibio Gill Garment Biomimmicry. Second image Jun Kamei Amphibio. 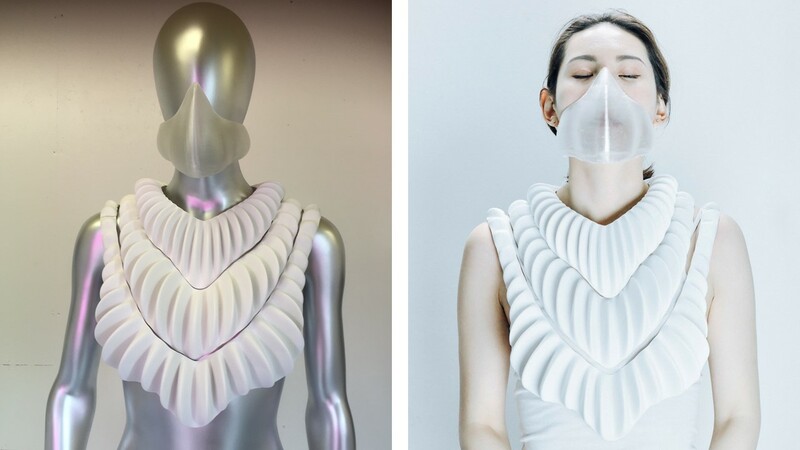 The rise of bio design puts designers in a unique position. Industrial designers will be swapping plastic, metal and other materials that take energy to produce with living materials, like fungi or bacteria. Artists and designers need the scientific know-how of biologists, while biologists benefit from the big-picture thinking and outside perspective of artists and designers. The Biofabricate conference is coming up with pioneering companies like Nike and Microsoft getting involved. Ginkgo Bioworks working with French perfumer Robertet to make a rose-scented perfume from genetically modified baker’s yeast. New Harvest pioneers in the cultured meat movement, the company is best known for growing a hamburger in a petri dish. Modern Meadow grows leather in a lab. Suzanne Lee is the chief creative officer for Modern Meadow and a fashion designer by training. She is best known for making clothing out of a kombucha-like bacterium. Terreform One: Terreform is a leader in building with living, self-generating, and sustainable materials. At this point, we haven’t seen bio-designed materials make a significant impact on buildings or industrial design so far – we believe that will change in the next 10 years. Growing meat in a lab brings up its own set of moral dilemmas, like the ethics of eating it as a vegetarian. Biological weapons are also another concern that shouldn’t be overlooked. We want to thank Per Boicel for his time and opening the door into the fascinating world of Bio Design.